The Occupational Safety and Hazard Administration (OSHA) is the federal agency tasked with the enforcement of all workplace safety and health legislation. 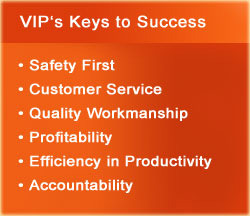 At VIP Building Services, safety is our number one priority. Keeping in compliance and current with industry regulations are a large part of our commitment to a safe working environment for our employees, as well as safe practices for our clients and contractors. OSHA provides a convenient enforcement database online in order to quickly verify a company’s safety records. VIP Building Services’ safety training program meets or exceeds OSHA regulations, and we are long-time, active members of the International Window Cleaning Association (IWCA) and International Window Cleaning Certification Institute (IWCCI). The VIP safety training curriculum educates employees on how to apply OSHA and ANSI standards to live, on-site situations. How Do You Know Your Building Is In Compliance? If you need a reference for a reputable rooftop anchor inspection and installation company, email sales@RooftopAnchor.com. 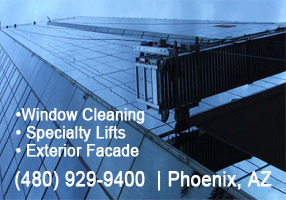 The window cleaning business could also be referred to as the building access business. Anyone can put soap on glass and wipe it off, but few have the expertise to safely and effectively access the outside of high-rise buildings, while complying with all pertinent codes and standards. This issue is central to the window-cleaning specific American National Standard Institute (ANSI) standards. VIP Window Cleaning will continue to help our customers understand and implement changes at their properties as they relate to the new standards. There are hundreds of rules and regulations that contractors must follow to safely perform their work. In order to protect themselves to the fullest extent, building owners must carefully document all contractor activities. The I-14 requires that building owners receive a “Plan of Service” from their contractors that should include all their activities.